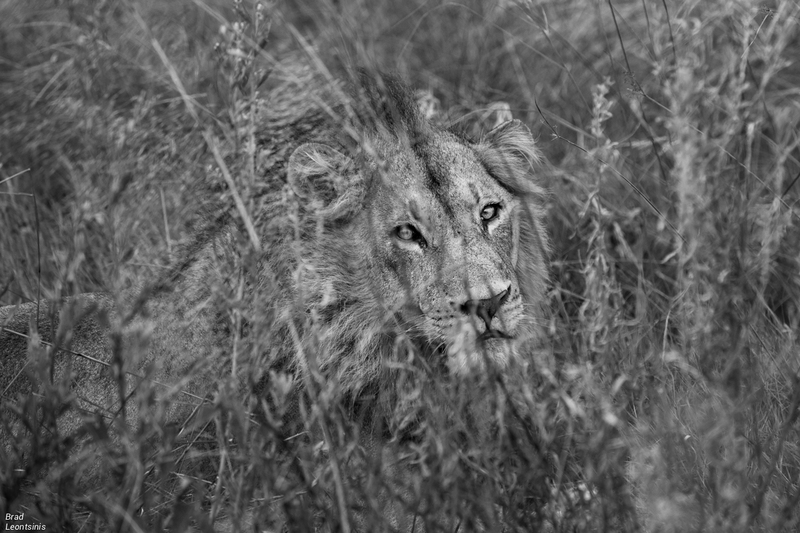 In April, I was hosted on a trip through the Okavango Delta in Botswana by Africa in Focus and Ker&Downey Botswana. 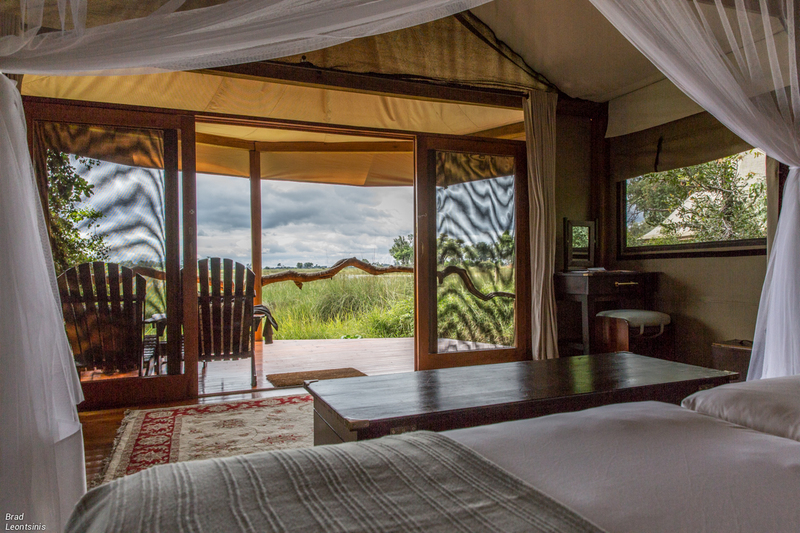 Ker&Downey have four properties spread around the Okavango Delta which we visited: Shinde, Okuti, Kanana and Footsteps Across Africa. All of the Ker&Downey properties are beautiful, well located and have special teams of people. I appreciated the ethos and attitude of this group to conservation and tourism within Botswana and think they are a classy operation with an outstanding product. 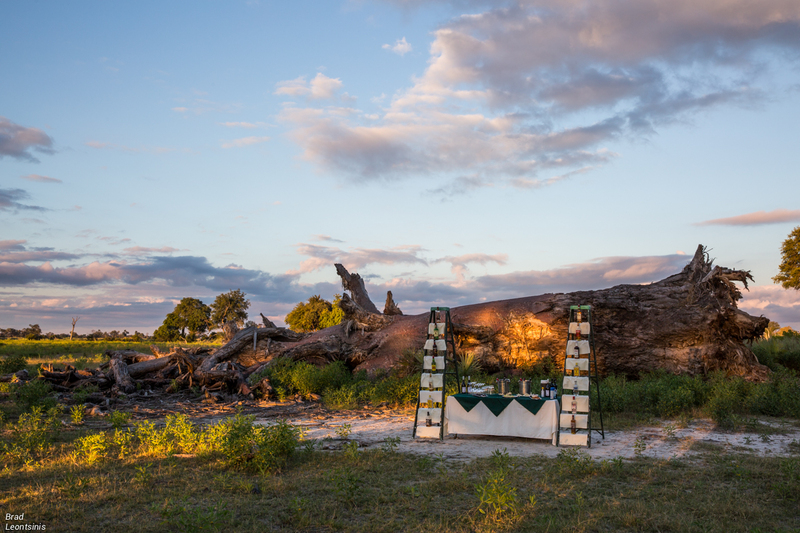 Each camp is unique and offers variety of adventure, so be sure to know where you are going and why, when you travelling in Botswana. That is what we are here for. 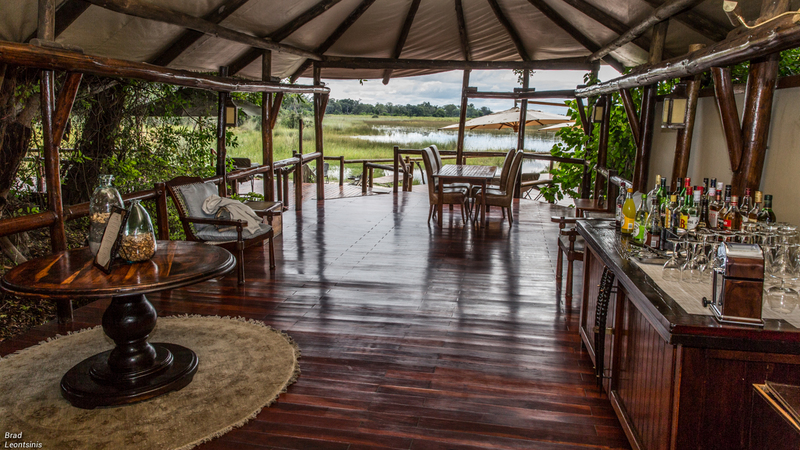 So sit back and enjoy a cup of coffee as we transcend you to these beautiful places for the next few minutes in anticipation of your own exciting safari adventures to come. 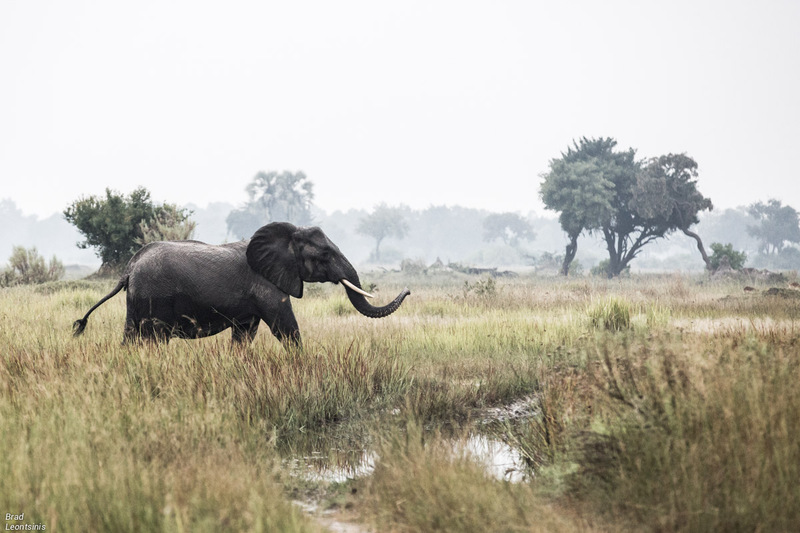 The Moremi Game Reserve is located in the heart of the Okavango Delta and is home to Okuti Camp. A charming camp with a unique design to the rooms and rounded roof’s, reeded on the inside, creating a a warm and natural atmosphere. The guest rooms could be spaced further apart from one another for our preference so we have earmarked a couple of rooms with the most privacy which we recommend. The area where Okuti is located has a wonderfully established feel to it and the wildlife is very strong with a high diversity thanks to a mixed vegetation on the island. 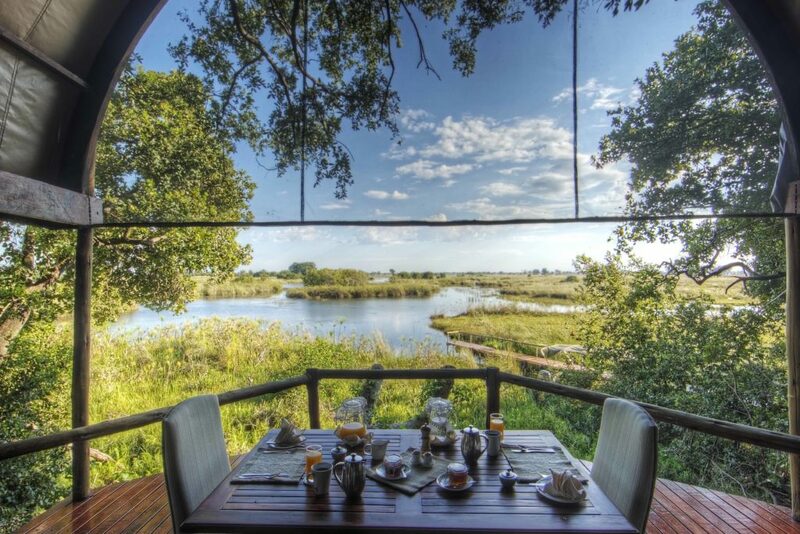 Okuti offers both water and land activities with game drives on the beautifully forested island and boat cruises along the Okavango channels to broad open lagoons. 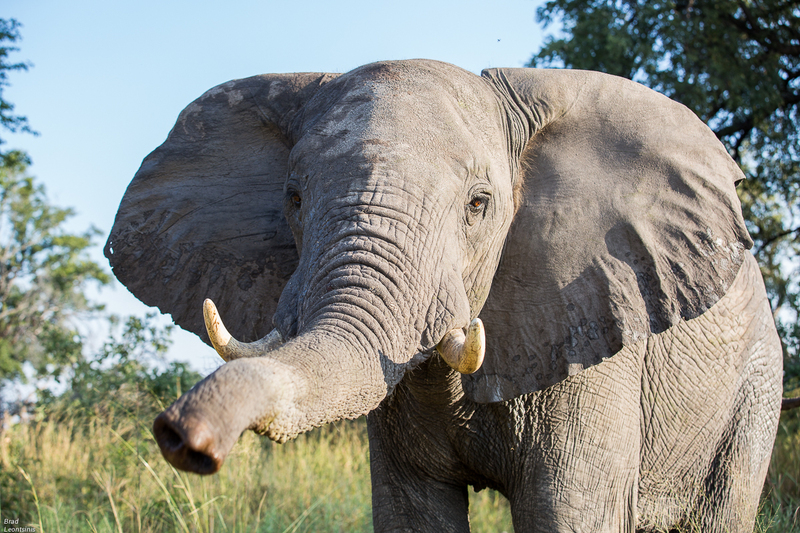 An inquisitive elephant gives me a big sniff close to Okuti camp. We spent our evening activity on the water on comfortable flat bottomed motorised boats. 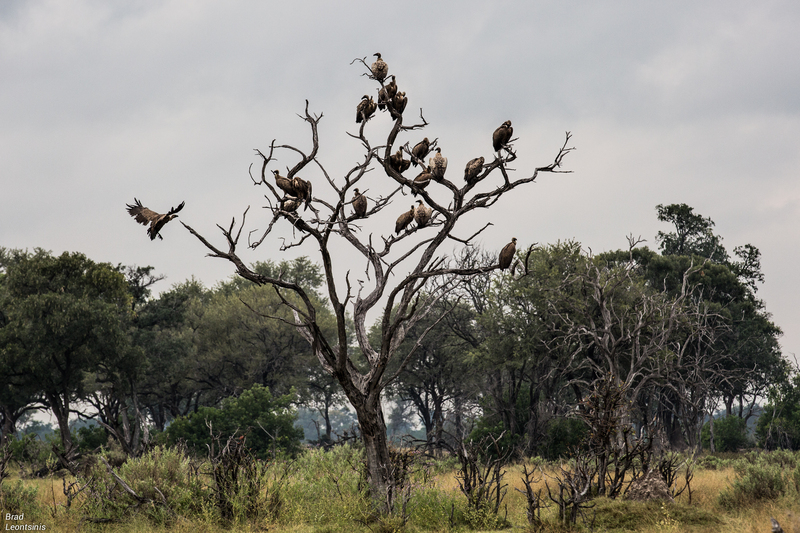 The birds of the Okavango are remarkable and being on the waters of the delta is simply magical. There is no better way to absorb into a sunset in such epic locations. Okuti lake during our boat ride. I would suggest skipping the full breakfast before drive and just grabbing a coffee and a muffin, getting out a bit earlier. 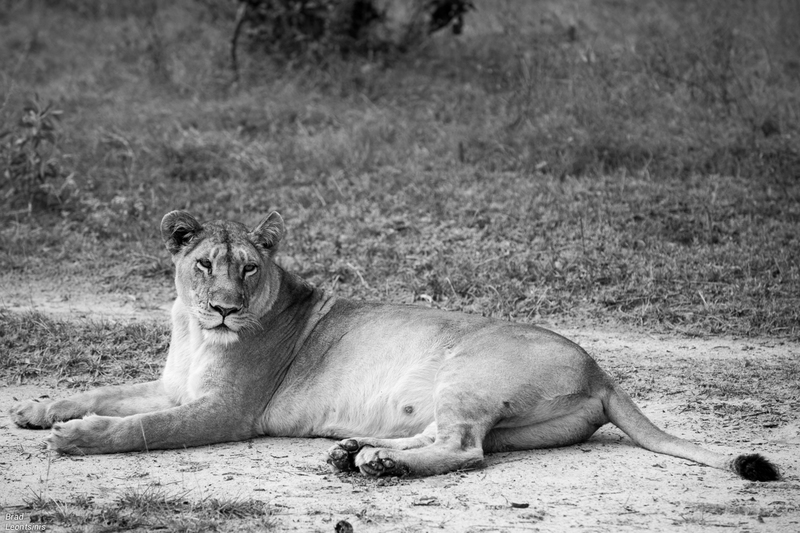 Had we done that we would have caught two male lions on the road which we had been tracking but found sleeping under some trees next to the road by the time we caught up to them. 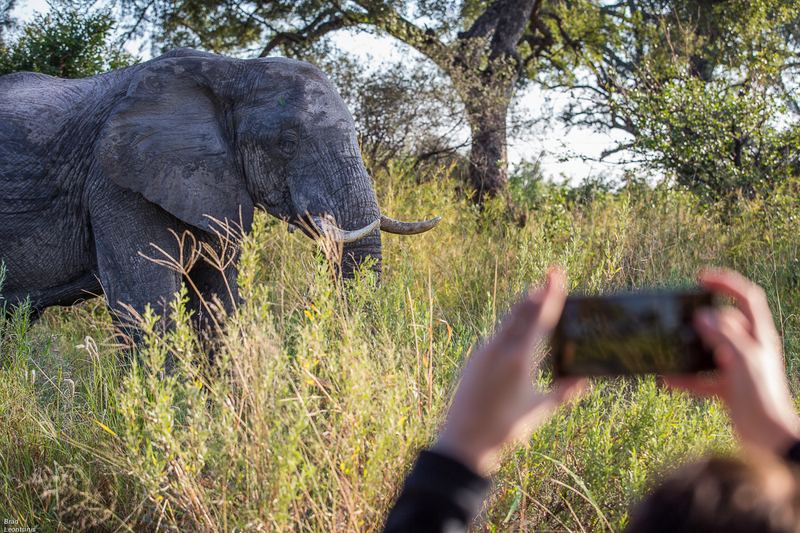 The game drive offered great diversity of sightings and we had some fantastic moments with large elephants close to the vehicle and giggled at a comical troop of baboons playing and bickering with each other. We unfortunately missed 3 leopards walking side by side on the road which had moved off by the time we got there. 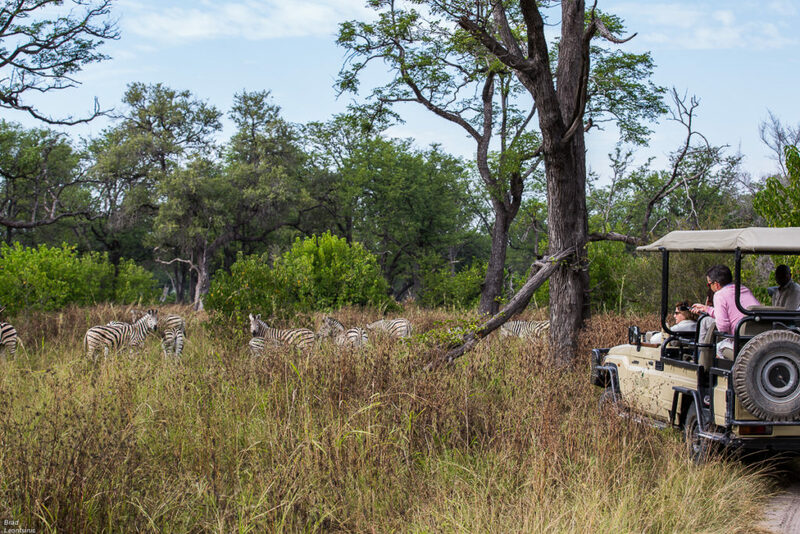 One thing to note at Okuti unlike the other Ker&Downey properties is there is no off road driving at Okuti because it is within the Moremi Game Reserve. This can limit the quality of sightings despite the exceptionally strong wildlife in the area. 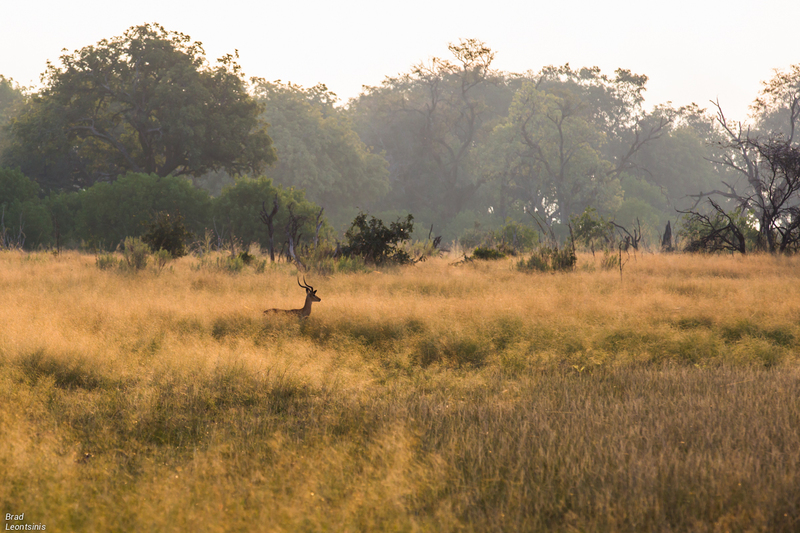 Next we were off to Shinde, a fantastic camp for wildlife viewing. 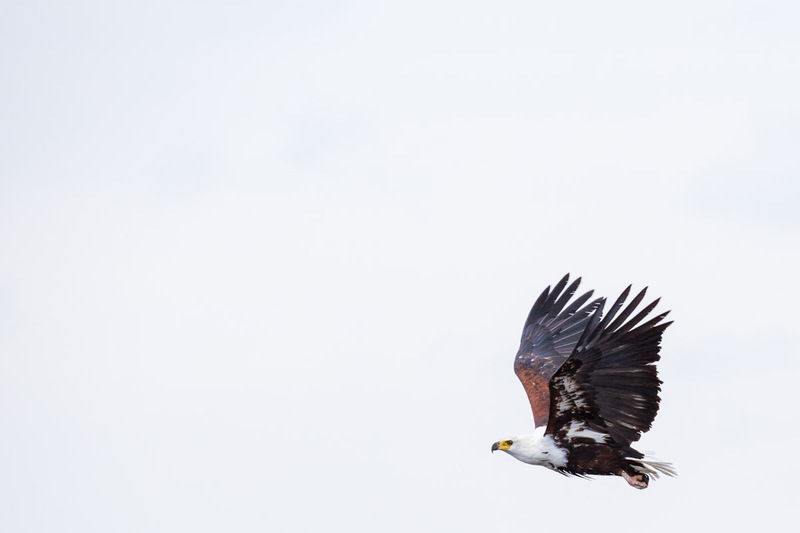 An African fish Eagle, ruler of the Okavango skies, takes off during our afternoon boat ride. A multi levelled camp on another island in the Delta. Shinde also offers the Shinde enclave for small, private groups not more than 6. Essentially it’s own lodge, the enclave is beautiful and perfect for private guided groups. The vegetation on Shinde is completely different to Okuti. 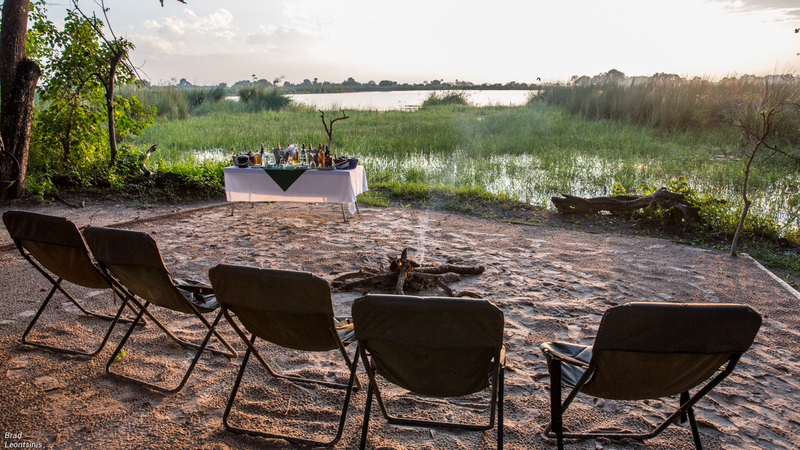 The camp looks onto broad open spaces on one side and water on the other so there is a lot to take in while enjoying meals from the main area. Although the camp also offers water and land activities, my suggestion is to concentrate on the land activities at Shinde with a strong wildlife experience. It can be worth getting on the boat for some fishing or a short cruise on the water to enjoy the beauty but with less expectation of animal diversity as this section of the delta has deeper channels and large pools so you do not see as much from the boats as you do in areas of water with floodplains and shallower channels. 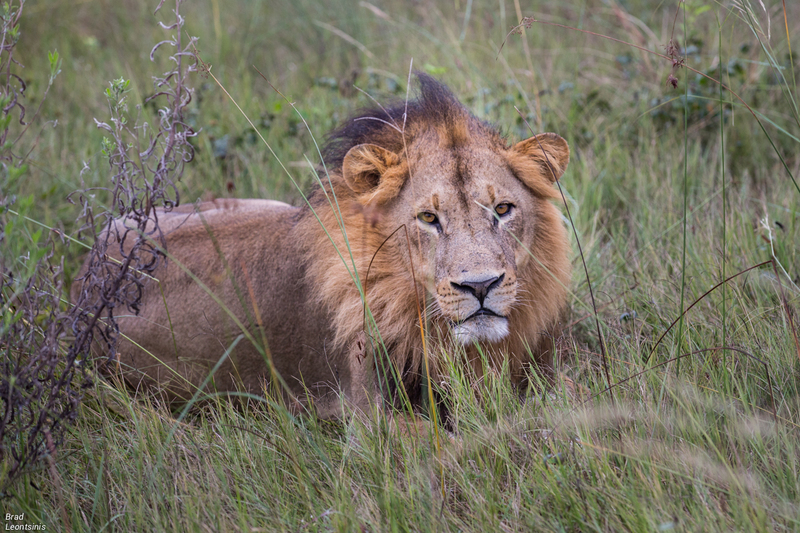 We had some great lion sightings at Shinde with two young males challenging an older, more experienced solitary male. The odds were pretty even with experience vs youth and team work. 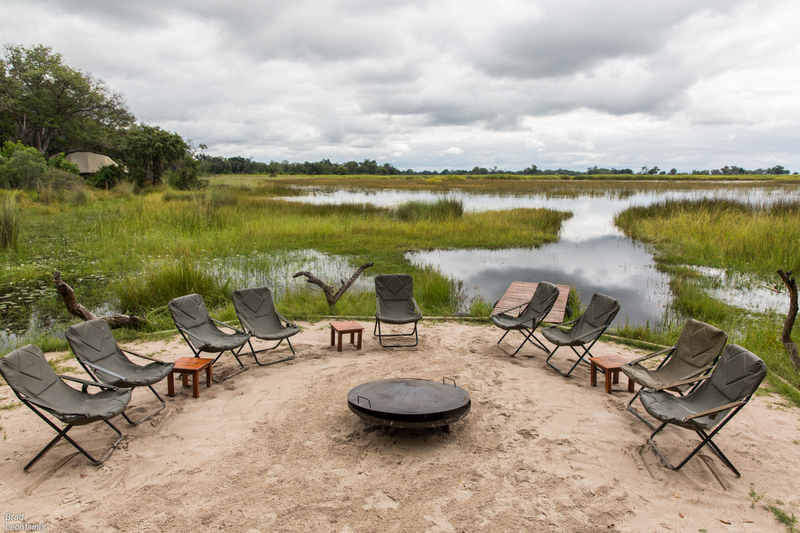 This is a classic Okavango type of camp with open areas, palm trees and floodplains to be enjoyed on drives. The youth.. Looking hungry and ready for battle. On closer inspection however one had a severe limp from his encounter the night before and the other had some nasty scratches and wounds. The older stronger male was not gonna give up without a fight. We had to search hard to find the older more experienced male hidden in the bush. He did not look impressed with the presence of the two intruders in his area. Footsteps camp location is right on the edge of the wild waters of the Delta. An exciting place to call home for a few days. Footsteps was one of the highlights of the trip and I feel is a unique offering for Botswana combining. 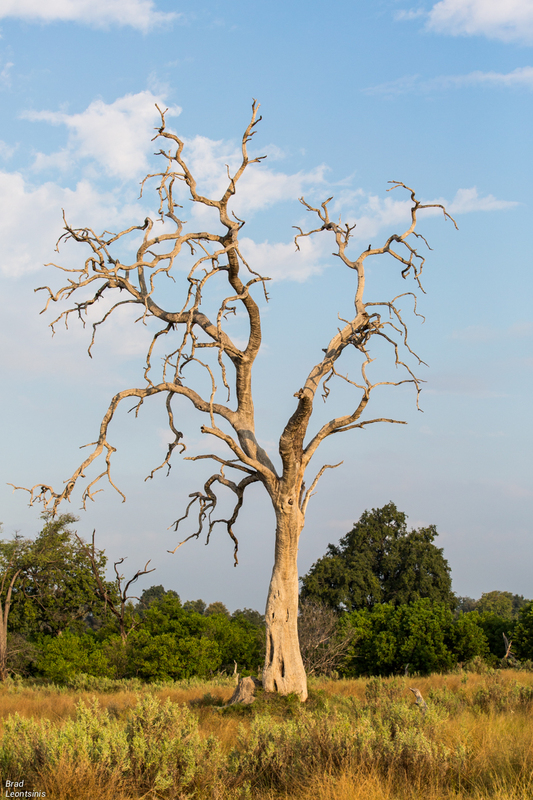 A rustic camp, less luxurious than the other Ker&Downey properties and dedicated to walking safaris, although game drives are also on offer. Think bucket showers (with flush loos) and authentic tents, all on the ground and nestled amongst tall trees on the waters edge, a magical location. The area is perfect for walking. It has the right mix of open areas and vegetated bush, with water pans spread throughout that keep herds of inquisitive animals within eyesight almost constantly. 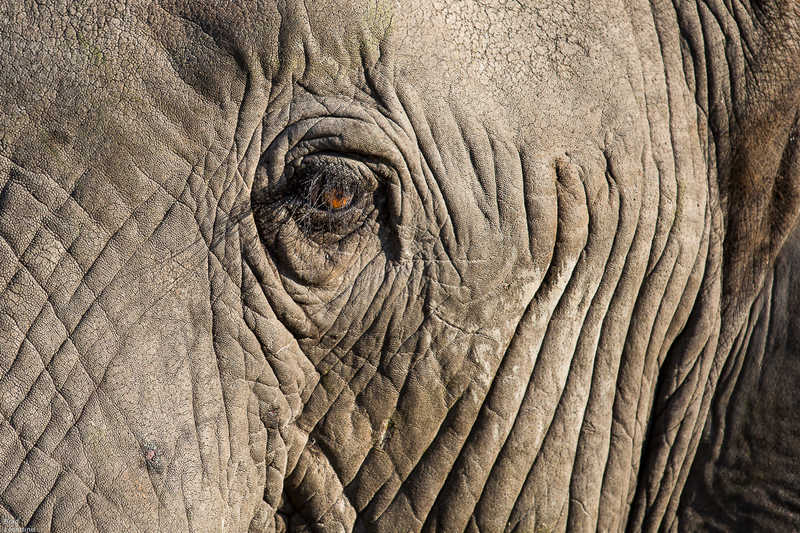 Elephants are abundant in the area so the potential for the most humbling of animal encounters, crouching below the feet of giants, is always present and likely. Further from camp the vegetation changes with more forests close to the waters edge, ideal for detailed explorations of the fascinating world of nature. Unfortunately we had very limited time in the camp. 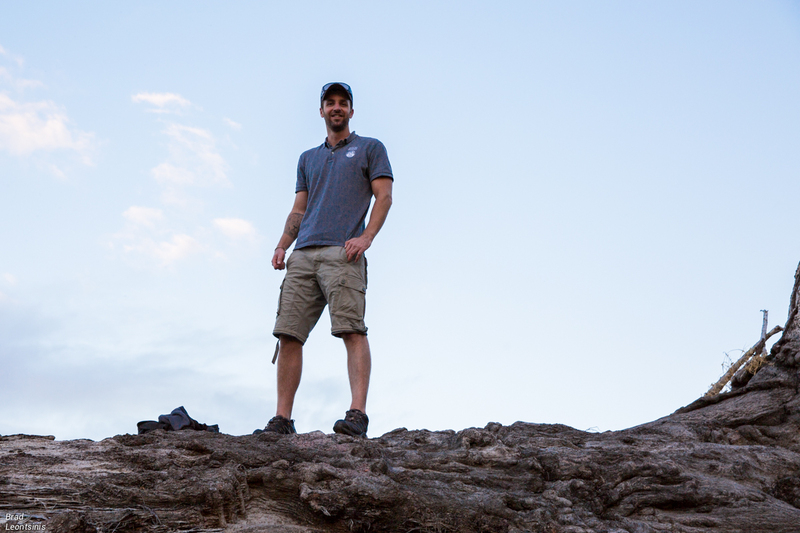 We were in search of a cheetah with a cub on the way into the area which we did not manage to find. This did not matter as the drive to camp was absolutely beautiful and full of adventure, getting stuck and having to dig out of a particularly water logged island. 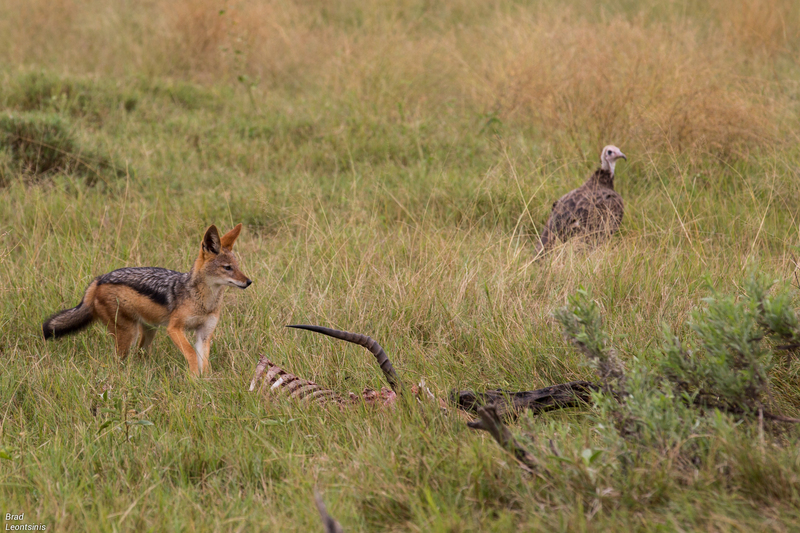 We had a a fantastic sighting of vultures and jackals scavenging from an impala carcass which the cheetahs had left as their only sign of passing. 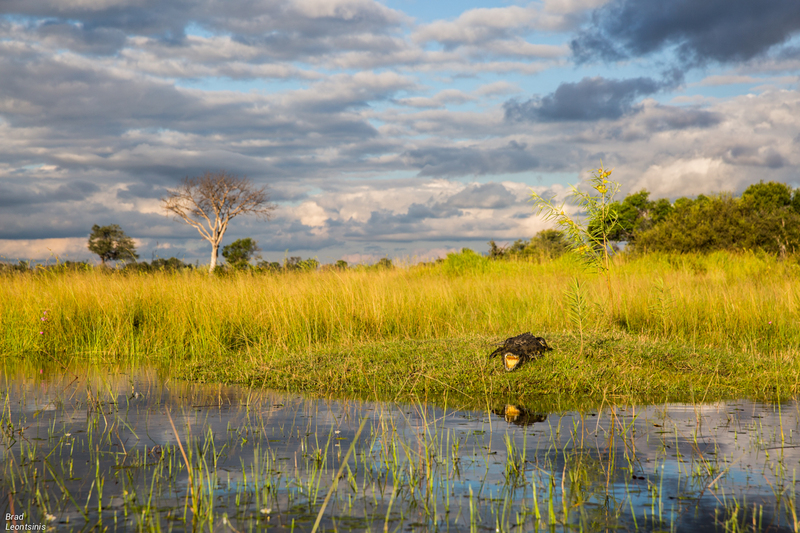 The water pans are full of hippos and there is a diverse mix of wildlife to enjoy along the way. We walked from camp in the morning and were treated to the very best of the change in perspective which one experiences when walking in such perfectly wild locations. 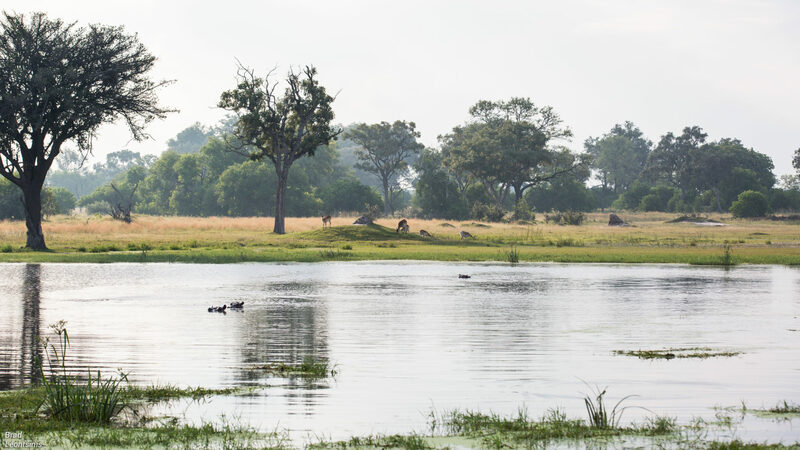 The camp staff treated us to a delicious bush breakfast next to one of the water pans to enjoy with a few curious hippos. Perfect! Perhaps my favourite of the Ker&Downey properties was Camp Kanana. 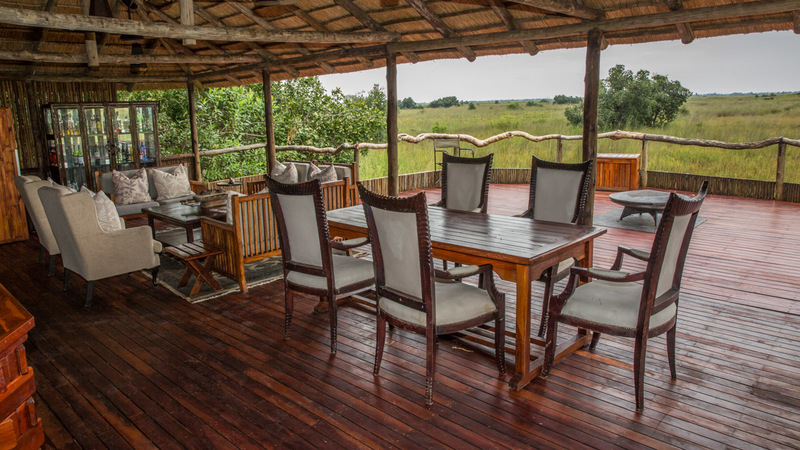 The main area of the lodge is very well thought out with several locations to sit and enjoy the space and a fantastic, natural atmosphere. The fireplace is well located in a warmly inviting area overlooking a beautiful scene. The rooms are dreamy, perfectly furnished and can easily entice you into skipping one of the activities to simply enjoy the space. 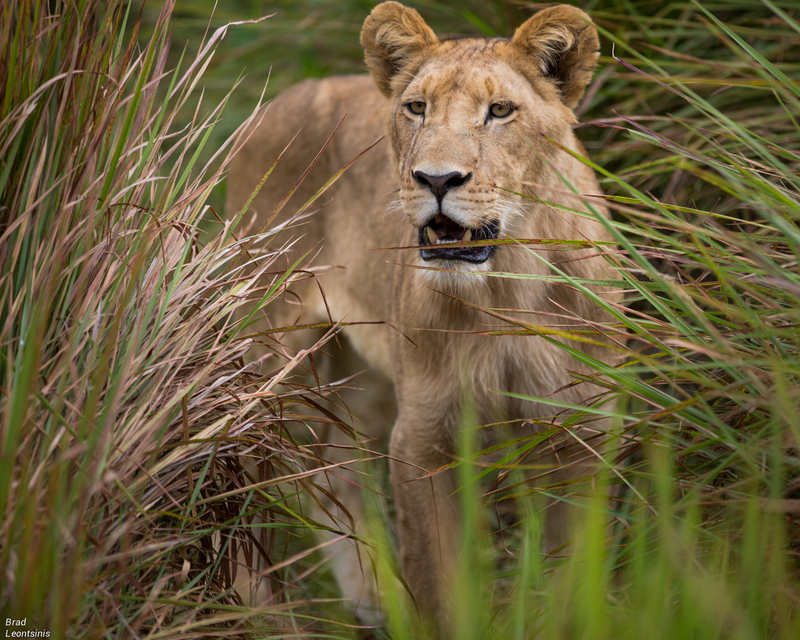 We were welcomed into camp by a pride of lions feasting on a red lechwe which they killed on the doorstep to camp moments before we arrived. For the afternoon activity we had a mokoro ride on one of the more beautiful and picturesque lagoons I have experienced in the Delta. It was perfection! Take a look at the video I created below of the experience. A major attraction to Camp Kanana in the second half of the year is one of the largest heronries in the world, which is a breeding and nesting colony of herons and other water birds. Although it was not active when we were there due to season, it is without doubt one of the most interesting locations to sit and observe offering more activity and action in one location than can be imagined. 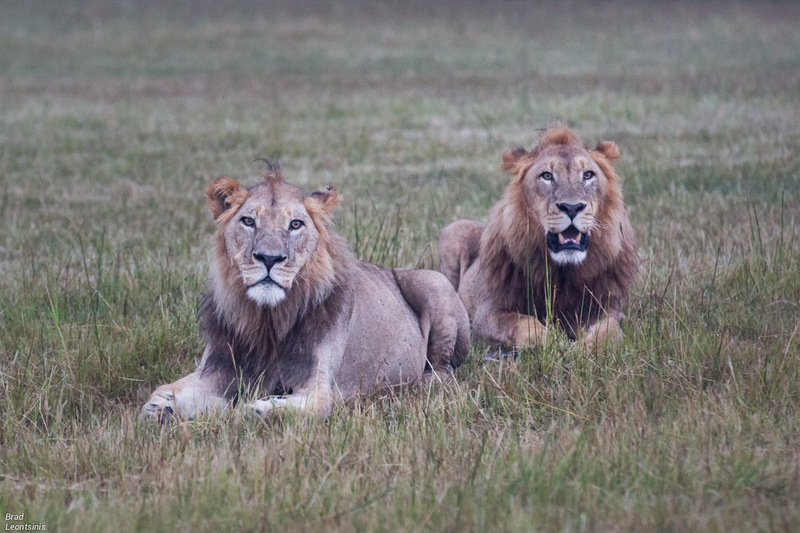 Our game drive in the morning was full of excitement as we tracked down a group of lions and enjoyed a variety of sightings along the way. One of the most impressive factors are 4×4 Safari vehicles take a maximum of 4 guests with only 2 rows of seats as opposed to the typical 3 rows of seats. This guarantees you a window seat and having a max of 4 guests makes the experience intimate and far more comfortable with the extra space between rows. A dedicated child programme which is one of the more impressive that I have seen and is truly a reason to visit if you are a family. I can think of few other opportunities which give children such an authentic view into nature. Each camp location is unique and beautiful. Strong activities with a great mix of wildlife and water. Friendly, proud staff who make you feel comfortable and at home. If you like the on the ground experience in camps, the Ker&Downey properties do not have walkways between rooms. Hearty meals and homely food, don’t expect to be hungry! Yum!